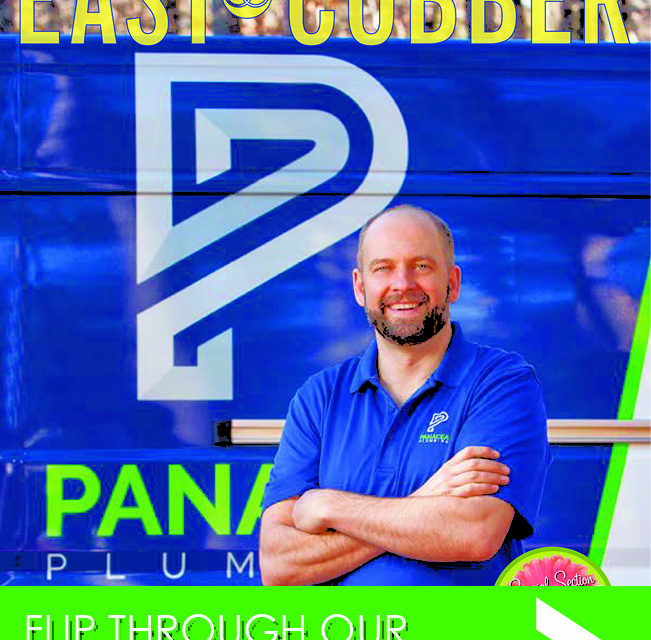 This month’s front cover features East Cobber John White, Owner of Panacea Plumbing. John White is also Chairman of the North Metro Division of the PHCC (Plumbing, Heating, Cooling Contractors) of Georgia. He is a leader in advocating new technology that best serves the customer’s evolving needs, while remaining an expert in the tried and true basics. “I love helping people and creating custom solutions for plumbing needs. Plumbing is an ever evolving industry. I stay educated on the most current technologies and products,” shares John. Panacea Plumbing knows that your plumbing systems are the heart of a home or building. When you need service, you want an experienced, reputable company that delivers on its promises. Panacea Plumbing provides East Cobb and beyond with quality plumbing installation, repairs and service. For more information about this locally-owned and operated business, you can read their story on page 6 or visit www.panacea.plumbing If your home is in need of plumbing services, call the professional plumbers at Panacea Plumbers today at 404-644-7549. Front cover photo taken by Michael Drewitz of Michael’s Photography. This article originally appeared in the March issue of the EAST COBBER magazine, on page 4. Click here to view the digital edition.